Tired of rings on your table but don't care for the boring old coasters? 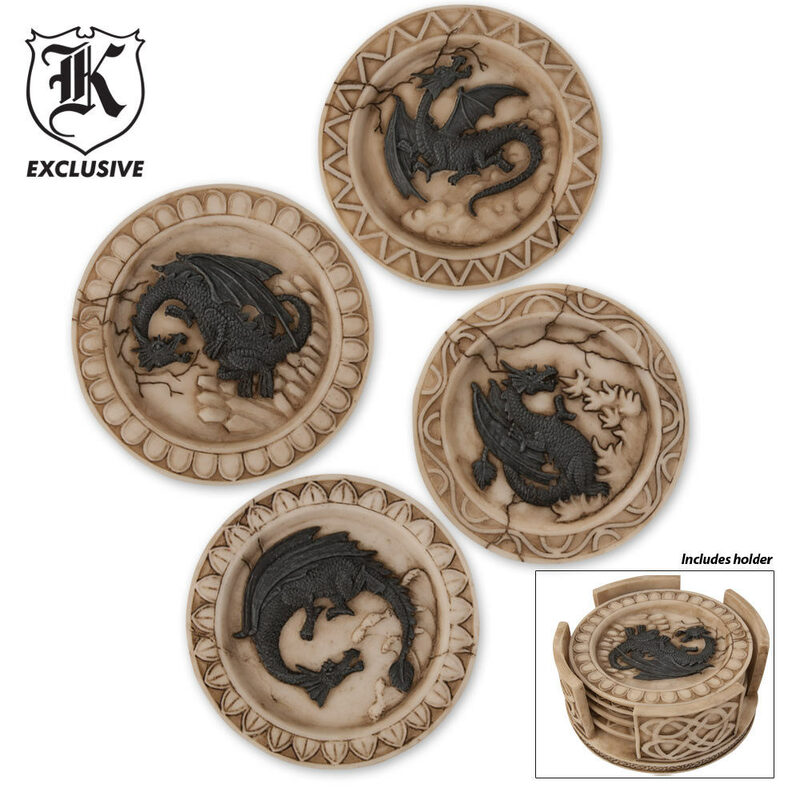 Then this cast-resin medieval dragon coaster set is just for you! Each of these four 4 1/4 in. unique coasters features a different fire-breathing dragon artwork. A matching cast-resin coaster holder offers a great place to store your coasters when not in use.